Defence Industry Minister Steven Ciobo has officially launched the 2019 Australian Military Sales Catalogue to broaden Australia’s defence industry and foreign military sales opportunities. 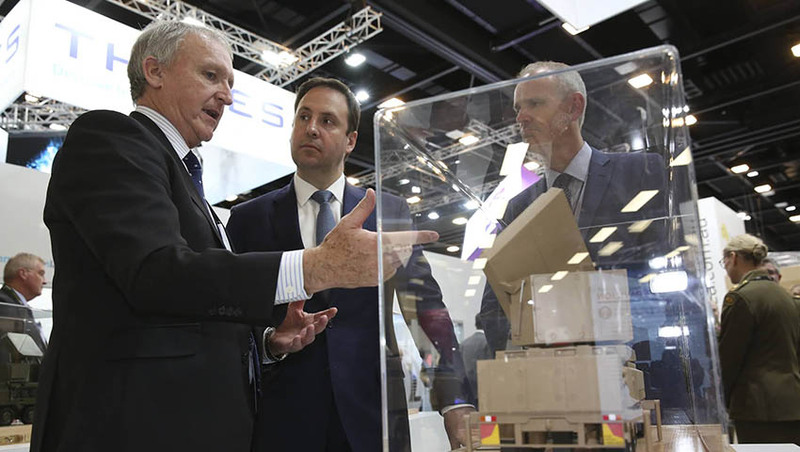 Minister Ciobo officially revealed the third edition of the Australian Military Sales Catalogue, showcasing world-leading Australian defence industry products, services and technology available for export to foreign governments. This year’s catalogue also includes selected Australian Defence Force equipment coming out of service, which will be available for purchase by international partners. The transfer of ex-ADF equipment to foreign governments is subject to a rigorous approval process that is independent from the Australian Military Sales Office. Minister Ciobo said, "The Australian Military Sales Catalogue showcases these internationally competitive Australian defence industries products and services. The catalogue is helping grow Australia’s defence exports. Companies included are developing networks, building relationships and securing sales as a result of being in the Australian Military Sales Catalogue." "Aussie businesses are at the forefront of innovation and advanced manufacturing. We have the potential to be a leading global defence exporter," Minister Ciobo explained. The number of Australian businesses contributing to the catalogue has grown by 78 per cent from last year, demonstrating the strength of Australia’s defence industry. The 2019 catalogue includes a total of 116 companies and every state and territory is represented, making it a truly national publication. "The catalogue is about supporting Australian defence industry to export responsibly. Government support will always be weighed against our commitment to our international obligations and maintaining a robust defence export controls system," Minister Ciobo added. AMS seeks expressions of interest from foreign governments for consideration. Australian Military Sales (AMS) supports Australian defence industry to export leading-edge capability solutions to foreign government customers. Through leveraging relationships across the military diplomatic community, AMS provides opportunities for Australian defence industries to utilise Defence’s network of national and international military partners to identify sales opportunities thereby improving and enhancing the promotion and export of products and capabilities. The purpose of the Australian Military Sales Catalogue is to inform potential foreign government customers of Australian defence equipment and of Australian defence industry products and services available under international government-to-government arrangements. "The catalogue is helping grow Australia’s defence exports. Companies included are developing networks, building relationships and securing sales as a result of being in the Australian Military Sales Catalogue," Minister Ciobo said. The full 2019 Australian Military Sales Catalogue is available here.